The Online Representations and Certifications Application (ORCA) replaces most of the paper based Representations and Certifications (Reps and Certs) in Section K of solicitations with an Internet application. This Internet application is an e-Government initiative that was designed by the Integrated Acquisition Environment (IAE). FAR 52.204-8 mandates the use of ORCA on or after 1 Jan 05. There is a considerable amount of reading you must do to accurately fill out the ORCA. There will be numerous clauses and provisions referenced to the FAR that you need to look up and read. The ORCA must be updated annually at a minimum. The Dynamic Small Business Search (DSBS) produces the SBA Profile of your small business. The SBA Profile is the second part of registering your small business in the CCR. A question that I hear often is “How do I get to my SBA Profile?” You can only access your SBA Profile by going through your CCR. When you do this, you will then be taken to a separate database. The areas of the SBA Profile that we will highlight are; Accepts Government Credit Cards?, GSA Advantage Contract(s), Current Principals, Non-Federal Government Certifications, Capabilities Narrative, Business Type Percentages, Bonding Levels, Keywords, Quality Assurance Standards and Performance History. Wow, that covers almost everything on the SBA Profile. Think it might be important? The Government increasingly uses Government Credit Cards. Does it make sense to limit the ways you can be paid? More and more buys are being made off GSA Schedules. Does it make sense to limit the number of ways the Government can buy from you? Current Principals is straight forward. Who owns the company? Then list them. What Non-Federal Government Certifications do you hold? i.e. IT Companies have special licenses; Management Companies probably have 6 Sigma certified employees etc. The Capabilities Narrative can only contain 255 total characters. You will want to play with this paragraph a while to get it just right. Business Type Percentages – i.e. 10% manufacturing and 90% service, if your company/industry requires bonding – what Bonding Levels do you hold? The Keywords can only contain 525 characters. What Quality Assurance Standards does your company hold? Performance History – you can list up to 32,767 references here! Obviously, that’s way too many. List the most current work you’ve done, dating back 5 years or so. The e-mail address is a given, right? It most certainly is not a given. Again, check the entry to make sure it is correct. You would be surprised how many people change e-mail addresses after they register in the CCR, have multiple e-mail addresses and forget to check the one tied to their CCR or simply never slow down long enough to ensure the e-mail address in the CCR is correct. Your company website is hands down another given, right? I am sharing relatively simple problems I see virtually everyday. Business Types/Grants: this is where you get to choose every small business category that applies to you and your business. 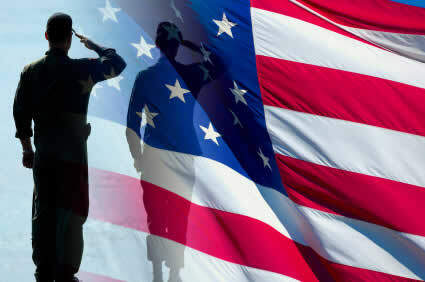 Is your company Service-Disabled Veteran-Owned? Then it is also Veteran-Owned. Is your company minority owned? What is your minority designation? This section of the CCR is not either or, it is as my lovely bride likes to say, “both and.” You get to select every category that applies to you. The North American Industry Classification System (NAICS) codes are those 6 digit codes that tell what your business does. There are different schools of thought regarding the NAICS codes. Some business owners choose to list primary and secondary (read prime and subcontract) areas they can work in. Still others choose to limit their NAICS code selections to those few areas in which their business specializes or can prime in. The choice is yours. The CCR Points of Contact (POC) is the last area we will discuss about the CCR. Many times there is confusion as to exactly what information is being asked for in these data fields. They are merely asking for the POCs within your company for Government Business, Past Performance and Electronic Business. What are System for Award Management (SAM) Essentials you ask? First, understand the SAM has replaced CCR as the database of vendors wanting to do business with the federal government. It serves the same function as CCR but is a new interface with new enhancements to the old CCR. SAM Essentials are those parts of the SAM that are critically important to the continued viability of your Veteran-Owned Small Business. Each part of the SAM is important and the entire document should be kept updated at all times. Many of the areas I will talk about here may seem intuitive, but you have no idea how many people leave them blank or enter the wrong or inaccurate information. Some data entry fields on the SAM to pay particular attention to include; the email address, the company URL or website address, the Business Types/Grants, the NAICS codes and the SAM Points of Contact. Registering in the SAM now takes the place of all the other databases we used to register in. The SBA Profile and ORCA are now incorporated into SAM.